Mark From 8-4 releases a statement. Hey guys n gals—Mark from 8-4 here! First of all, thank you to everyone who has been participating on the forums! Everyone on the team is SUPER happy to see so many made the jump over, even as we continue to refine and improve the functionality and speed. We also want to apologize that the lack of certain features (private messaging, the reply system, thread locking, etc.) can make finding the discussions you want to take part in a bit challenging, but rest assured we are working on improvements and watching the suggestion threads closely to help set priorities. One thing that has really highlighted the shortcomings of the current forum setup (especially the fact we can’t lock threads to consolidate them) has been the biggest topic of the last couple days: the introduction of our official community manager, Dina. Along with plenty of congrats and well-wishes (thanks to all those folks! ), some backers have expressed perfectly understandable concerns about exactly how their voice would be represented to the team, and have been discussing (in a mostly-civil manner, though sadly with a few loud exceptions) what they might imagine the implications of this new role could be on the community and the project. Will the community manager be skewing things the way they would personally like to see the game? Will the community manager ignore views that don’t match with their own personal ideals? Will the community manager lose the community’s desires due to unfamiliarity with the type of game we are making? Will the community manager be creating their own robots and levels and programming, or changing the game in any way, from what the core creative team wants?! A lot of these or similar questions have been raised. The good news is that the answer, in all cases, is no. The job of the community manager is to act as a conduit between the community and the team – basically help keep the team filled in on what all of you are talking about, and help keep all of you filled in on what’s going on with the team internally. A community manager who filtered this process to further any personal agenda would not, by definition, be a community manager! 🙂 and the fact that they were doing so would be immediately obvious to the team, who is plugged into the community in more ways than one. As far as affecting the game in other ways, rest assured all direction and decisions are still in the hands of all the same people they have been from the start. 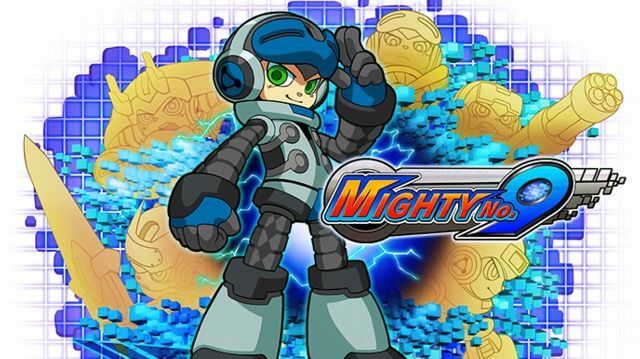 Everyone should know that choosing a community manager is not something the team took lightly — all the key players at Comcept were involved in the selection and hiring process, all the way up to and including Inafune himself. We are supremely confident we made a great choice, as we think you will all agree as you get to know Dina and see her work. Of course, the proof will be in the doing — we look forward to hearing what you all think as we start to roll out different aspects of our community involvement over the next few months, starting next week with the second round of the Call vote! (And maybe some smaller tidbits sprinkled here and there we have planned semi-regularly to get you glimpses behind the action, posted here to the forums from time to time). In the meantime, you can learn more about Dina and see her in action (or ask a question yourself!) in her Ask Me Anything thread in Off-Topic.